The signing of the Convention on the legal status of the Caspian sea at the 5th summit of the heads of state of the Caspian states in Aktau on August 12 promotes the interests of Azerbaijan. Member of Parliament of Azerbaijan Aydin Huseynov told Trend Aug. 14. 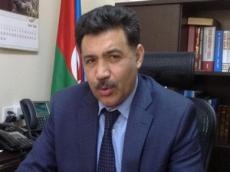 The Azerbaijani MP noted that the signing of the Convention will serve for deepening cooperation between the Caspian states and ensuring security in general. "The legal status of the Caspian sea, cooperation in the spheres of economy, transport, ecology and biological resources in the Caspian basin highlights such issue as security in the region and at global scale. This agreement is a historic document, as the work in this direction has lasted for 25 years, and as a result the Caspian states reached an agreement on the status of the Caspian sea," Huseynov said. He added that Azerbaijan has always made intensive efforts for achieving this agreement, and has protected national interests based on international law and mutual trust during the entire period of negotiations on the legal status of the Caspian sea. The ceremony of signing of the document was held on August 12, at the 5th summit of the heads of state of the Caspian countries in the Kazakh city of Aktau. Convention on the legal status of the Caspian sea was signed by President of Azerbaijan Ilham Aliyev, President of Kazakhstan Nursultan Nazarbayev, President of Russia Vladimir Putin, President of Iran Hassan Rouhani and President of Turkmenistan Gurbanguly Berdimuhamedov.